As a freedom fighter, Ashe had led his greatly outflanked battalion to a famous victory at Ashbourne during the Easter Rising of 1916. But we remember Ashe primarily as the first Republican prisoner to die as a result of a hunger strike in defiance of an inhumane system that sought to criminalise the battle for Irish independence. Let us now take a brief look at the events which led to Ashe’s death and would prove to be a milestone in Ireland’s struggle for freedom. Having escaped a death sentence for his role in the Easter Rising as part of a general amnesty, Ashe - now President of the Supreme Council of the Irish Republican Brotherhood - found himself back behind bars two months later after being charged with sedition for an incendiary speech. Sentenced to two years at Mountjoy prison in Dublin, Ashe was denied the basic rights that he might have expected as a political prisoner and was instead forced to undertake hard labour alongside common criminals. On September 20th 1917, Ashe and the other Republican prisoners at Mountjoy embarked on a hunger strike to demand prisoner-of-war status. Ashe was singled out for particularly cruel punishment - his entire cell stripped of everything, including all bedding, and left to sleep on bare boards. Moreover, the hunger strikers were subjected to barbaric force-feeding, whereby their hands and feet were bound while a rubber tube was forcibly placed into their mouth or nose and down their throats. 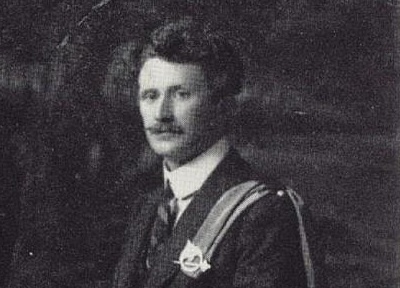 It was following one of these violent sessions that Thomas Ashe fell gravely ill and was rushed to hospital, where he died soon afterwards - his lung having been punctured by the violent force of the rubber tube. ‘If I die, I die in a good cause,’ said Ashe shortly before his death. Some 30,000 turned out for his funeral, at which Michael Collins delivered the oration. But it was the inquest into his death and the subsequent damning verdict, condemning the brutality of force-feeding and indicting the British authorities of inhuman punishment, which served as a rallying call throughout Ireland. In the wake of Ashe’s death, the British would be forced to amend their policies towards political prisoners - but, more significantly, there would be a vast and pivotal surge in Republican recruitment. Thomas Ashe died on hunger strike in Dublin’s Mater Hospital on September 25, 1917, 97 years ago this week.